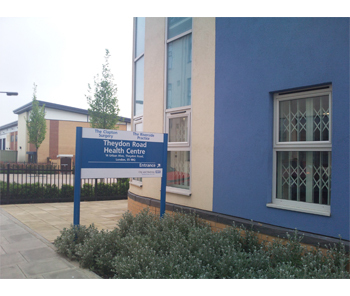 The Clapton Surgery will be open from 8.00am to 18:30pm Monday to Fridays commencing 1st June 2018, we will be closed on the weekends and public holidays as usual. If you require further information please refer to the opening hours on our website or contact us directly on 0208 806 7735. We were inspected by the Care Quality Commission (CQC) on 22nd August 2016. The practice was awarded a 'good' rating with outstanding features. There were no recommendations for improvements to our services. To read the inspection report please click here. The Accessible Information Standard is a new law to make sure that people who have a disability, impairment or sensory loss are given information they can easily read or understand. The Accessible Information Standard tells NHS and adult social care organisations they must make sure people get information in different formats such as: - easy read, braille, advocate, British Sign Language (BSL), large print or email. Disabled access is available to all areas of the practice. Limited parking is available on Theydon Road. The Surgery has in place a Parking Enforcement, I can reassure all patients that there are two disabled parking spaces and two normal parking spaces on premises. In order to prevent any future penalty charges please request from Reception Staff a Visitors permit to display on your car. The link below is the name of the company that will be responsible for the premises parking commencing from 10th April 2018. If at any point you have any queries please do not hesitate to contact the Practice. Letters and Forms - Why am I charged?